Photo by Eric Winegar. 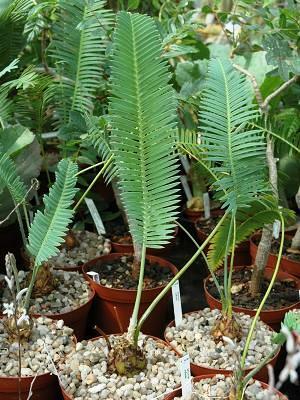 This member of the Zamiaceae family was described by John Lindley in 1843. It is found in the Sierra Madre Oriental Mountains, Mexico, where it grows in a well drained soil or grit wit quiet some water and just some sun. The stem will reach 30 centimetres in diameter and three meters in height. 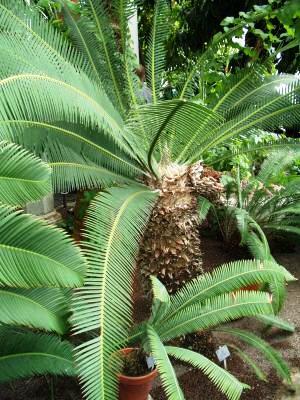 Both the male and the female cones are light brown, and besides seeds, this plant can be reproduced by offsets.